A beautiful place with modernistic flair and spacious rooms. 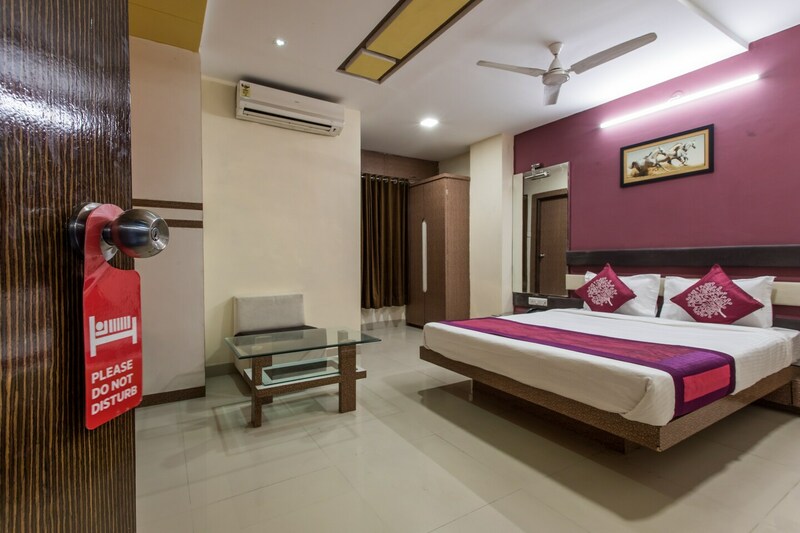 Shri Balaji Avenue is a hotel with an architectural structure that leans on the modernist side and a tasteful interior decor. The bedrooms at the hotel are cheerful and bright with two of the walls colored white while the other two are painted in dark and pastel colors along with dark wood furnishings. Apart from the basic furniture, the rooms also have a cupboard, a dresser, sofa chairs, a coffee table and several drawers. The hotel provides its guests with free Wi-Fi and power backup so that they can remain connected with the rest of the world. Other amenities offered by the hotel are laundry and parking facility along with a card payment option.